Every May since 2012, I've had the luxury of looking back on fond memories of college as a new year's worth of fresh graduates hit the "real world." Before that, May simply meant a temporary break in the whirlwind of essays and exams. This year the "Remember Whens..." are back in full force, particularly as I'm thinking about sending off yet another little sister to college this coming August. Everyone who knows me knows that I went into college extremely reluctantly, kicking and screaming the whole way, on the inside if not on the outside. And I had a rough transition period that lasted most of my freshman year. But in the end, I can say that I'm absolutely glad that I chose the college that I did, and I'm proud to have finished a Bachelor's Degree from Calvin--and if I could go back in time, I'd make the same choice to go to school there (I could not say the same thing about cosmetology school). I did go into college keeping in mind the idea that although I have nerd-like tendencies...I knew that studying wasn't going to be what I remembered most from my college years. That turned out to be partially true, and partially untrue. The studying was intense, at times. What do I remember most from college days? I remember Angel sitting across the table from me, paging quickly through endless pages of printed-out powerpoint slides containing info from his nursing classes, while I patiently copied Chinese characters dozens of times on the other side of the table. 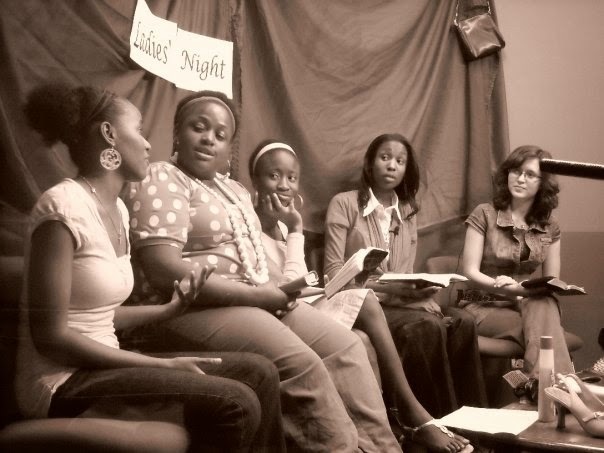 Freshman year, I got roped into a talk show for our on-campus tv channel. Usually the guys kind of took over--my main job was introducing the show and saying goodbye, but we made sure to have "Ladies Night" one night! I remember being brave enough to go audition for this commercial--and the 3 blissful days full of eating free food and pretending to be friends with students I'd never met before. Plus I got to get lost in a corn maze, it doesn't get better than that! I remember going on a trip to Chicago in January with a professor and the rest of my writing class--and her insistence that we could walk everywhere and didn't need taxis. We walked all over downtown and I thought I might freeze to death, but it was one sweet trip! I remember being the one person who came alone to nearly every event. I don't know what was up with that--I think it was the lack of roommates, or else my odd taste in student events. I went to a Valentine's party my Junior year solo...and I'd already been married for two months, for crying out loud. Studying for finals the week after we got married--at this point, this was the only chair we owned other than folding chairs. Isn't that such a newlywed grin? I remember playing hide-and-seek in the dark late at night in empty buildings on campus. Twice. It was amazing. I remember my stalker. He was very nice. I remember going late-night "sledding" on garbage bags down the side of the hill, and afterwards wandering a forest which seemed positively enchanted in the moonlight. I remember the three times I missed a class. Once because I was miserably ill. Once to go to my great-grandma's funeral. And once to attend my own wedding rehearsal. I remember wearing my nice dress for attending a graduation ceremony, and afterwards, cleaning my friends' apartments, to help them pass inspection in time so that they could get their deposit back. I remember tutoring theology students who wanted to fiercely debate the validity of the JEDP theory of Genesis with their professor instead of merely memorizing it for the exam (I myself was far more pragmatic as a student). I remember playing Texas Hold'em for pennies with a group of guys I didn't know, and winning pennies at a rate that alarmed them. Their problem was that they thought I was too innocent to bluff successfully. I remember sitting in the tiny backseat of Angel's car, with him and Jeffrey occupying the front seats, in the McDonald's parking lot, the three of us engaged in a vivacious discussion on the topic of "Why does everyone say marriage is so hard?" I remember making char bee hoon in my Grandma's kitchen to take to an international students' dinner--I remember how hesitant she was to taste it, but how delicious I thought that little taste of home was. I remember hosting a 6-movie Star Wars marathon at our house in honor of school being out for Christmas holiday. I remember sleeping in the library when I probably should have been studying. That was the coziest place to sleep. I remember explaining my midnight curfew rule by telling skeptics that I was Cinderella. Sometimes they believed me. Curfews can be a little difficult to explain in college. I remember bribing friends into going with me to the downtown Hispanic festival since it was required for Spanish class and I didn't want to have to parallel park all by myself. Got any fun college memories that come back to the surface once in a while? Tell me about them! What adventures are you proudest of? College sounds like it was so much fun for you! I loved my college days too! It is always so fun to look back at it! This is such a cute post! I remember a lot from college and it was mostly fun times with friends and the shenanigans we would get into. Like, one time randomly my friends coaxed me into driving from our campus (in Fairfax, VA) to Philly so we could eat philly cheese steaks. Possibly the most fun ever but I had to work a retail job the next morning and let’s say...I made it on time but that was the most miserable shift ever! It sounds like you had some great college years! I am graduating next week and I am super excited but it's also bittersweet. I've had an amazing senior year and I'm not quite ready for it it end. aww, so many memories you have :) I liked hearing them all. i'm such a sucker for reminiscing and loved hearing all your memories. super cute 'newlywed grin' too! my husband and i were just talking about how perfect and crazy that first year in our new place. everything was so new and exciting and those folding chairs seemed perfect! it also sounds like you had some great and quite interesting professors! audio book voice prof?! amazing. Such a sweet post! Thanks for sharing! I'm so nostalgic reading this! Mostly I remember the intelligent, insightful, and restorative conversations I had, inside the classroom, on paper, and with room mates. I'll always miss that. Neat idea to look at back all the memories! I forgot for a sec you got married during college until I remembered you saying you missed class for your wedding rehearsal...I'd say that's a pretty legit reason!! Fun times. Phillip and I also got married in college and it was awesome. Our first baby was also born while we were still in college. She even came to two of my classes with me (with the instructor's approval, of course.) One day a week, our routine was go to class, walk across campus and stop halfway to nurse in the ladies' room, and go to our next class. Bet not many college students will have THAT memory! haha, getting to eat free food for a commercial sounds all sorts of awesome! :P I've still never been to Chicago--I really hope I get to visit at some point! Loved this post! <3 I really miss college! Those are some great memories! Ya, sometimes you'll remember the classes and professors and things you learned, but it's important to remember the friends and experiences you had, too. Oh man. College. I remember walking, walking walking. Iowa State has a huge campus and my classes were all over it and I could never make the bus in time. I remember having flat abs. I remember drinking Hawkeye vodka, which was essentially petroleum I'm pretty sure. Bad choices when it came to dudes. Good choices when it came to girlfriends. Studying and never really taking any of it in. Figuring out that my major was the exact opposite of what I wanted to do. Good times! Sounds so lovely! I'm currently "studying" (read: blogging...) next to my own fiance in a university library. It was so nice to read about all your memories! So I just read your comment on my blog and followed you here to check out your blog. When I realized I read this post the other day from your comment on the Peony Facebook page. I really enjoyed this post. I've been reminiscing about college a lot lately myself. I must say I HATED University. With a passion. So...no good memories for me there at all. High school however was chocked full of them. The video and the your stories really do make college years sound dreamy! I only missed 2.5 lectures - one for my driving test, one because I ran home because my laundry was hanging outside and it was about to rain, and a half because I arrived terribly late because it was initially cancelled due to strikes but ended up taking place anyway. I think my best memories are of the endless hours I spent under the trees studying and prancing around barefoot on the lawns. bless you for having such a great college experience! I am delighted that you have fond memories of college! And glad you finished! My oldest got her Bachelor's with some close calls about "quitting" along the way; youngest daughter is 1/2 way there! What an accomplishment for you! Blessings! Yay! I love college - except the time I fell in an uncovered manhole. Ha! Thanks for sharing your sweet memories. Star Wars marathon sounds awesome right about now! I am kind of jelaous you had such a neat time in college, my University years were literally the worst years in my life. I couldn't wait for classes to be done and over with so I can go back home. 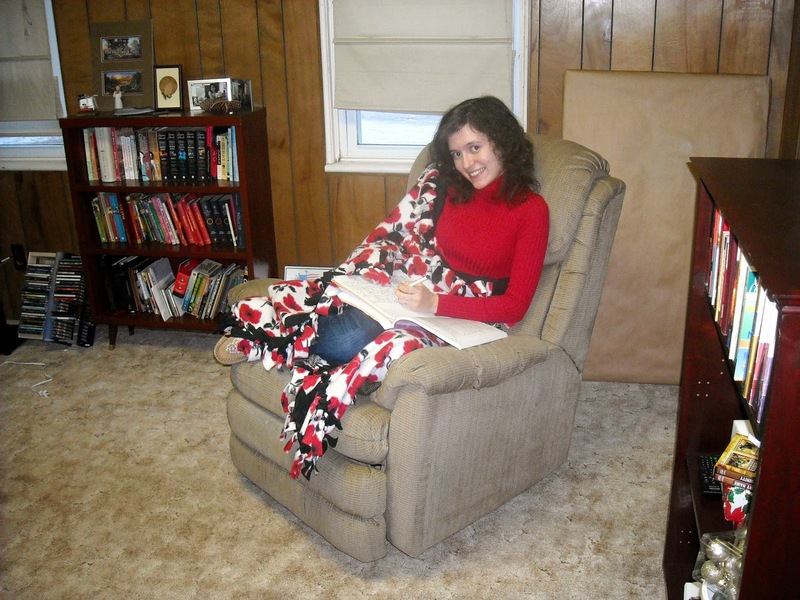 Also, I totally have the same photo curled up with a blanket studying! And why does everyone say marriage is hard? I've always wondered, what's the difference between being together and living together and then marriage, what's the big deal. And parallel parking is scary! What great memories! I love the fact that your professor wore rainbow shoes to cheer you up - how awesome! O totally lol'd at "I remember my stalker"! Who doesn't . And it was so nice of you to help your room mates clean even if your wore a fancy dress, what a good friend. I agree that college is so much more than studying, it is so deeply important in forming who we become after such an independant experience. Rachel I wanted to invite you to linkup any of your past or current travel posts in a new linkup I am hosting with a few fantastic travel bloggers called #REASONStoTRAVEL. I would love to promote your travel posts and expat stories. Enjoyed reading through your memories! Marriage does sound like it could be hard to a single person like myself, but you and Angel make it sound fun!